First I’m going to give you my monthly review of the previous month’s sales statistics for our county including Dunedin homes and condos. In last month’s newsletter I wrote that I was predicting at least one, if not all three, of the months from March to May would see a drop in sales as compared to last year. In 2010 the homebuyer tax credit had a deadline of April 30 for contracts and June 30 for closings. This resulted in a spike in closings during Feb-May and gave us the 4 highest months for sales since before Jan 2007. Immediately after the end of the tax credit (June was the last month for closings) the sales dropped noticeably and there were stories throughout the news about this drop and how it might mean the housing market had crashed. True, July through November saw sales below the same month in the previous year which was something we hadn’t seen since November 2008, but with the artificially inflated numbers due to the tax credit you had to look at this in context. Then in December of last year we saw another spike in sales. this was not just the first month since the end of the tax credit where we saw sales higher than the same month in the previous year, December’s sales actually came in as the second highest month since January 2007 and this was without the tax credit. The question was whether or not this would be a one-time thing or would be a trend that would continue. January sales were higher than every January back through 2007 and the same held true for February. But March had a higher hurdle to clear since the sales numbers in April 2010 were the highest since before January 2007. So how did last month fare? The final numbers are now in for March and the sales last month not only topped every other March sales figure going back through 2007, but last month was also the highest sales month since prior to 2007. It is definitely easier to see and understand what is going on by being able to look at a chart of statistics. This is important because you have to look at what is going on in a specific local market – there may be a national trend but that doesn’t mean every area is the same. Now there is something that this chart doesn’t show which is important to know. In January one of my clients emailed me asking about the drop in prices in the area and I checked into this because throughout 2010 I had been seeing the average price staying nearly even with 2009. When I checked into this in January I saw that there was a drop in December and when I checked again in February and March there was a drop again in both January and February (as compared to the same month in the previous year). Since the trend through 2010 had been that the prices stayed nearly the same as in 2009 this seemed odd so I dug into this further. What I found was that the percentage of foreclosure and short sales closings had jumped in December and that in January and February the number of short sales closings dropped to their previous levels but that the foreclosure sales closings had stayed up in the higher range. Some of this has to do with the problems that began last October with bank paperwork on foreclosures that stopped a lot of foreclosure sales closings in November and December, and the percentage of foreclosure closings has been gradually drifting back down since the peak in January. But they are still at a higher percentage that they were at before December, even last month. You might think these are just very cheap, run-down condos and houses being bought by investors, and the majority are, but 10% of these foreclosures were properties that sold for over $200,000 and one was a house on Indian Rocks Beach that sold for nearly $2,000,000. I can tell you from personal experience that there are a lot of investors right now looking for and quickly buying up bargain properties but even that doesn’t tell the whole story. I have a client who has been interested in a beach front condo in a particular complex on Clearwater Beach and has been watching the market for several years. A little over a month ago we noticed that there were some of the direct beachfront condos in this complex that were on the market as short sales and foreclosures which were priced $200,000 or more below what these condos had been selling for. He had to arrange a trip here to see them but couldn’t come for 2 weeks and before he could even get out here the 1 foreclosure and 2 short sales he was interested in all went under contract with more than one buyer submitting an offer in at least one of these cases. The next week one of the contracts fell through and he put in an offer and while we were negotiating with the bank on this foreclosure another buyer came in with an offer and beat him out on it. Then another short sale came on the market in that same complex and within about a week that one was under contract. I bring this up as an example of how the interest in our local market is not just about the really inexpensive properties but rather has to do with good deals no matter what the price is. What you need to do if you are looking to find and buy really good deals here, whether as investments or as a second/vacation home or condo or as your main residence, is follow some important rules. 1. Be prepared for the financial aspect of the purchase. In every foreclosure or short sale situation you must have proof that you are financially able to make the purchase. If you are paying cash, you will need to have a bank statement or other proof that is no older than 30 days to show you have the funds to make the purchase. If you plan to finance your purchase you must have preapproval for a loan to cover the purchase price. Banks will not even look at an offer on a short sale or foreclosure without one of these. And the first choice for a bank will always be a cash buyer. 2. Be prepared to act quickly when you find what you’re looking for. There are a lot of people looking for the great deals now so when you find t hem you may be competing with other buyers so any delays bring about additional risk of another buyer getting there first. This is especially true with foreclosures as sometimes it may take a few days to hear back from the bank on your offer and during that time other offers may come in that may be better than yours. 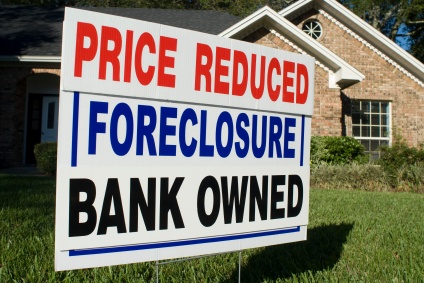 You also need to be aware of what happens when a bank gets more than one offer on a foreclosure property. When that happens the bank will tell all potential buyers to submit their “highest and best” offer and they will then review all of these and take the best one as long as there are any that are acceptable to them. I have seen this often on inexpensive, investment properties but this also happened on the Clearwater Beach condo deal and it can be quite frustrating to almost be there and then lose out. 3. Get your research done right away so you know what a good price for a property is. When you find a property you’re interested in you should ask me right away for comparable sales to see what the property is worth and determine what you feel it is worth to you. For investment properties that you will be buying and renting out, you should also get info on what the most recent rentals have rented for. But when you have all the information you need, make sure you review it quickly and decide whether or not to proceed. 4. Know what you can and can’t afford to do. Don’t rush into something that you will regret later because you couldn’t really afford it. You should figure this out before you even start looking at property listings. Know what the taxes will likely be, an insurance you may have to obtain, monthly fees or condo or homeowner associations, mortgage payments if you are financing your purchase, etc. For investment properties, what repairs or improvements you’ll likely need to pay for, what you can make monthly above your expenses based on what the property should rent for and what it will cost you until you can get it rented out (holding costs). I’ve stressed in the above points the need to act quickly and decisively but before you can do that you need to know what you can and can’t afford to do, so get this figured out first to give you something to measure against. 5. Be realistic. If you aren’t realistic about what you’re trying to find you will never find it. This doesn’t mean that you can’t get deals better than what properties are listed for or that you should pay more than what a property is worth or that you can afford, but if you think you’re going to find a 3 year old home with a pool on an acre of land in pristine condition for $50,000 you’ll be wasting your time. You need to set realistic expectations. I’ve had people asking me from time to time to find something that doesn’t exist. I tell them that the price range they have set for what they are asking for will only get them properties which are either in areas they don’t want or in a condition that will require an almost complete gut and rebuild (neither of which is what they want). You also need to be realistic about what it may take to face the type of competition on some of these really good deals. If you think you can take your time and casually proceed, you may find that the speed with which you need to move and the stress of competing against other buyers may be more than you want to deal with. You also need to be realistic when dealing with short sales as to the time involved. It can take 3-6 months or more to get a reply from the bank on an offer you submit and you need to be prepared for this and I don’t recommend even pursuing one if you aren’t ready to go for months without hearing anything. However, I do know how to find short sales that, in most cases, won’t have this problem. Now that I’ve covered these rules I want to go over 2 tools that can help you if you feel you are ready for this. One I have mentioned before and the other is something new I’ll be offering. The first is the ability for you to do digital signatures on offers. I’ve had several clients now that have utilized this service and they have all found it to be very helpful as it makes the process of submitting an offer (or several offers) much easier and faster. You don’t need a printer, scanner and/or fax machine and you don’t have to wait until you get home or to your office. This is especially helpful when you don’t live locally. There are some lenders that won’t accept digital signatures, but in most cases I have found that this isn’t a problem. The other tool is one that will provide you with listings of foreclosure and short sale properties the instant that they are entered into, come back onto or are changed in the MLS. With all I have said above you can see why the ability to act quickly is important and being able to find out that a property has come on the market or has come back on the market or had a price drop within seconds after that has happened is something that will give you quite an advantage. I’m making this available now to only a limited number of people and only to qualified buyers and investors who are looking to purchase now, not for buyers looking at buying ‘some time in the future’, and who will follow the 5 rules above including having their proof of funds or preapproval ready. This doesn’t mean that I won’t provide listings to other buyers – I will and you can be set up to receive them the day after they are listed, come back on the market or have a price change. But to get set up to receive listings instantly after they are listed or back on the market or having a price drop you need to be in the category I described above. And you will also need to have specific criteria for what you want to find including type of property, price range, specific areas or cities, etc. For anyone else who isn’t interested in all this, I’ll continue to work with you as I always have been and on your time frame and at your speed. But to assist those who want to take advantage of the opportunities available currently like for Dunedin or Clearwater homes and condos, I felt I should offer you these additional tools and services. I hope that wherever you are the Spring weather is will make this one a pleasant one for you and I look forward to seeing you when you are next in the area. This entry was posted in Clearwater Condos, Clearwater Homes, Dunedin Homes. Bookmark the permalink.